Q. Susan, I keep giving in and giving up. I weigh 235 pounds and should weigh 135 according to my doctor. I start and stop diets and exercise programs all the time. I just can’t make any headway. I am very depressed and don’t know what to do — except to keep eating because though it keeps the weight on, it gives me comfort. Do you have any suggestions for me to help me break this cycle? A. I suspect you are using food inappropriately as a way of medicating your depression so my suggestion for a starting point is to go and ask the doctor about anti-depressants. Until you address the depression you will stay stuck in this pattern. Check out what is said about depression on http://www.DepressionAlliance.org and take that information with you when you see your doctor and talk about what is relevant to you. Anti-depressants are not a quick fix as they usually take several weeks before you feel the effects. Do some research for yourself (on-line) about the different drugs that are available and make sure that you are not given anything that is addictive. If you get bad side effects go back to the doctor and ask for a different one. Whatever you do, don’t just stop without talking to your doctor as that can be quite hard to handle. Traditionally, I am more into alternative medicines and they have a place. What you appear to be describing is a more serious, longer term situation and that is why I am suggesting anti-depressants as a starting place. The talking therapies like counselling and psychotherapy are also very useful to help you figure out what might be underneath the depression, so I would suggest that also if you can. Write out your thoughts and feelings every day to get them out of your head and then you can look back and see if there is a pattern to what you think and what you eat and when you eat it. Personally, I always groan at the thought of doing a food diary yet I know that if you link the food with feelings it can be quite illuminating! If you read my eBook Food and Thought you will see that I have struggled with my weight all my life so I am definitely not an expert! I am a work in progress. I have been anorexic and bulimic and have comfort ate so know that what I struggle with is giving myself good nutrition. Learn to read the labels of all the food you buy and ensure you understand the effects of it. The glycaemic index was initially developed about diabetes and the effects of food – you can use that information to help yourself understand what different foods do in your body. Groan by all means here – start dancing or doing some other form of exercise. If you exercise for an hour a day you will make a real impact not just on how your body works but on how you feel as you will probably get an endorphin release – research this for yourself on-line. Food is a chemical in simplistic terms and it affects how our mind and body works. It is my understanding that serotonin improves our moods and we get that as a result of the over eating and that is why we keep doing it. Ask your doctor about this and also ask about leptin resistance. This is usually covered by courses on endocrinology and some doctors have not done that so find one who understands and knows about it. Online research alloxan – a chemical in white, processed foods that is probably not good for us! I would see comfort eating (my own included) as avoidance behaviour – eating to forget a bit like a drug taker or an alcoholic so do take this seriously. I think very highly of the work of a therapist called Beech Colcholy so see if you can find any of his books. I currently use my Wii board and Wii fit plus for exercise as it is something that I can do at home without having to deal with the skinny people at the gym. Would going to a gym, swimming pool or other sport be something that would get you moving? Do you have a dog to walk? Fresh air is good for moods especially if done at Noon when the daylight is best (counters any effects of Seasonal Affective Disorder SAD). 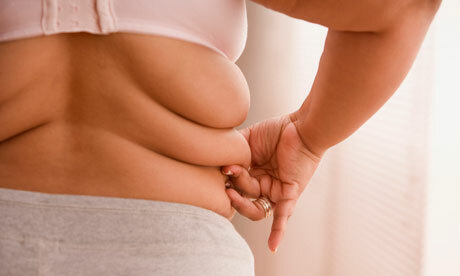 Personally, I don’t like the idea of bariatric surgery except as a last resort. If you want to do it ask your doctor now before you let the weight increase. What I am using is Paul McKenna’s great book, cd and video Hypnotic Gastric Band. If you follow what he says it works well and is less invasive. You do not have to believe that it will work, just read and listen. I truly hope this helps. Best wishes and take care of yourself…you deserve to matter.